GREEN, Ohio – If you’ve flown from Akron-Canton Airport, chances are you know the exact time it takes from your door to your gate. Or, you’ve been surprised how easy it is to navigate, even with children in tow. CAK has compiled stories like yours, highlighting what CAK is Easier Than. 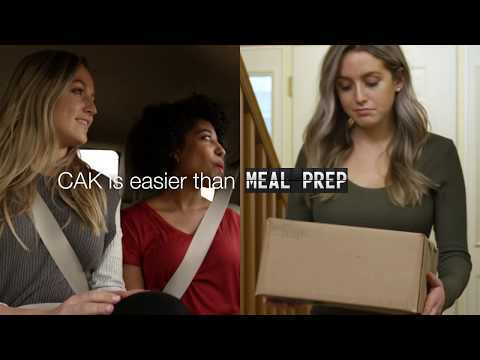 In the airport’s latest creative campaign, daily struggles are compared with traveling through CAK. Customers can appreciate that CAK is easier than putting kids to bed, Instagramming brunch, or even getting the printer to work. The airport partnered with Akron-based agency, Pritt Entertainment Group (PEG), to imagine and create the :15 and :30 second spots, part of a broader communication strategy leveraging video to educate, excite and engage Customers. This campaign will have a series of videos distributed across traditional broadcast, streaming TV like Hulu and Sling, YouTube, Facebook, Instagram, Twitter and Snapchat. To celebrate the launch of the new campaign, a contest will run from February 5 – 19, 2018 with the grand prize of two round-trip tickets aboard Spirit Airlines. For the chance to win, just enter at akroncantonairport.com, and follow the hashtag #CAKisEasierThan. Watch all #CAKisEasierThan videos on Akron-Canton Airport's YouTube Channel here. Pritt Entertainment Group brings brands to life through video, animation, photography, graphic design and live event production. Their award-winning creative team produces high-quality pieces for clients in Akron, Cleveland and all across the country.